Notes: The lead single and closing track from the album is a cover of the Donnie and Joe Emerson song “Baby”. The song was met with positive reception from the music press, receiving a “Best New Track” by Pitchfork Media. 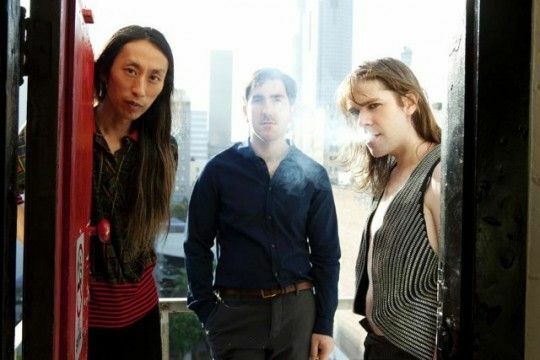 ≈ Ariel Pink’s Haunted Graffiti will release its new album, Mature Themes, on Aug. 21, it’s the band's second album for 4AD and the official follow~up to its 2010 breakthrough album, Before Today. “Sonically, it’s comparable,” Pink says of the new work, 13 songs he’s only recently penned. • “There are definitely not any links to my lo~fi origins. It’s so diverse but so different from anything I've done before. In a sense, its really the record I wanted to make back when I made Before Today, but couldn’t due to pressures and different factors. Main manager: Michael Zanna /// 4 AD Presentation: West Coast natives Ariel Pink’s Haunted Graffiti present Mature Themes, the follow~up to 2010’s hugely successful album, Before Today. ≈ Before Today was the band’s 4AD debut, offering the first sign that the intriguingly scatalogical music Ariel had been making for over a decade was finally ossifying into a coherent form. Indeed, the lead song from Before Today — the inimitable ‘Round and Round’ — was awarded Pitchfork’s track of the year for 2010, and further plaudits were heaped upon the long player as it cropped up in near~all end~of~year polls. For many it seemed that Ariel had finally reached the wider audience his early recordings had hinted was possible. And with Mature Themes, Haunted Graffiti have forged a record that raises the bar once again. 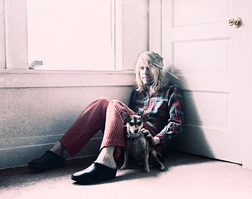 ≈ While the creative process was new, familiar Ariel Pink signatures remain. In fact, Mature Themes feels like the definitive Haunted Graffiti record, a patchwork of modern America, its esoteric reference points and moments of lyrical lucidity a twilight excursion through backwater LA and late~night TV channel hopping.